I love sharing fun non-candy valentine ideas! 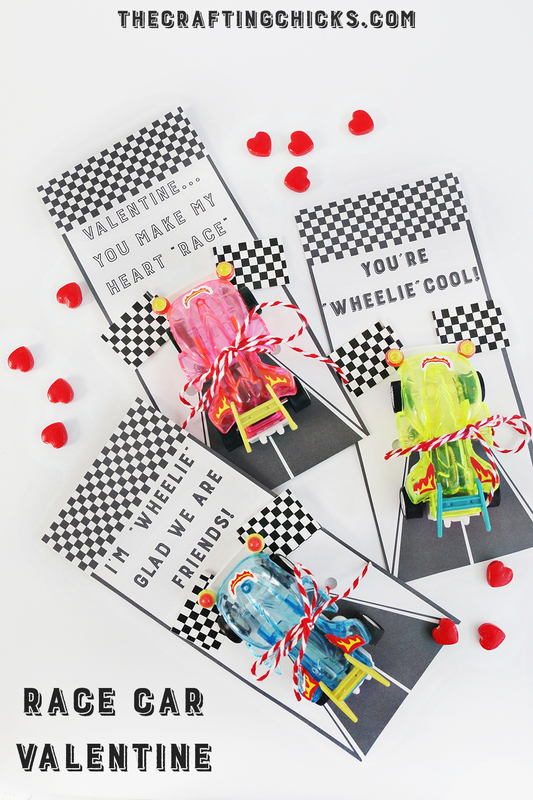 I saw these adorable race cars at Oriental Trading and couldn’t wait to make a cute Race Car Valentine Printable. You can find all the details and free printable over at Create Fun by Oriental Trading. 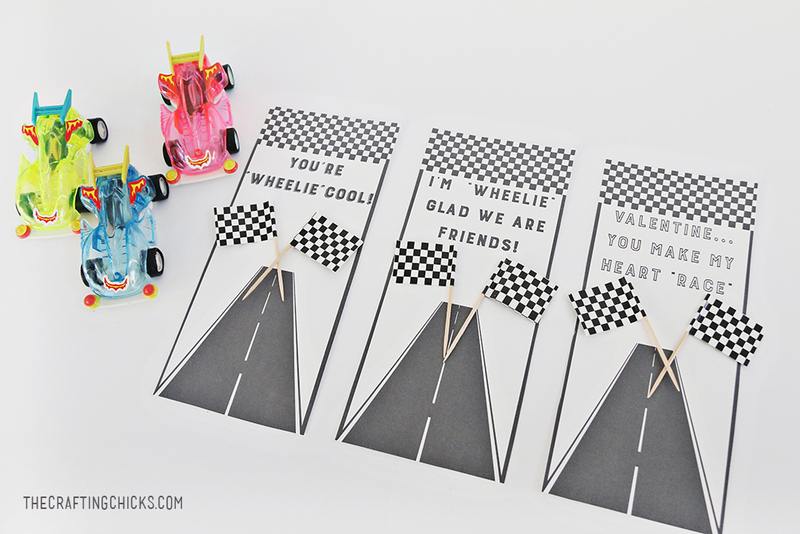 I came up with 3 cute sayings to go along with these fun race cards. “Valentine…You Make MY Heart ‘Race’! Love all of these cheesy fun lines to go along with the race cars! 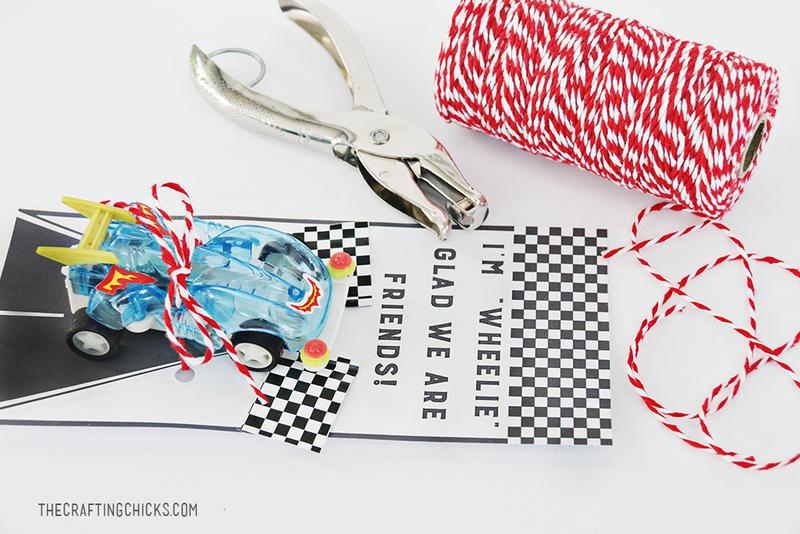 You just need toy race cars, some red and white baker’s twine and mini race car pick flags to make the cutest Race Car Valentine ever. 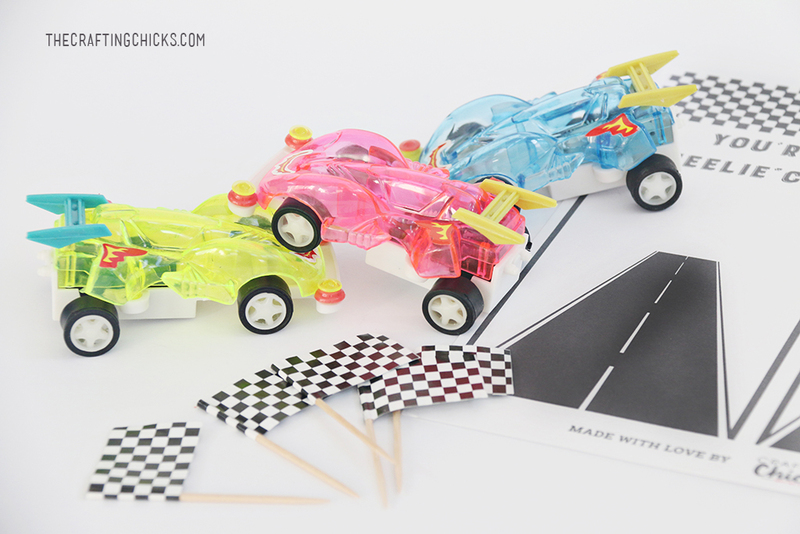 These friction race cars are so much fun for kids! My kids love how fast they go…and love racing with them! I love the bright neon, happy colors. This would make a great boy or girl Valentine! 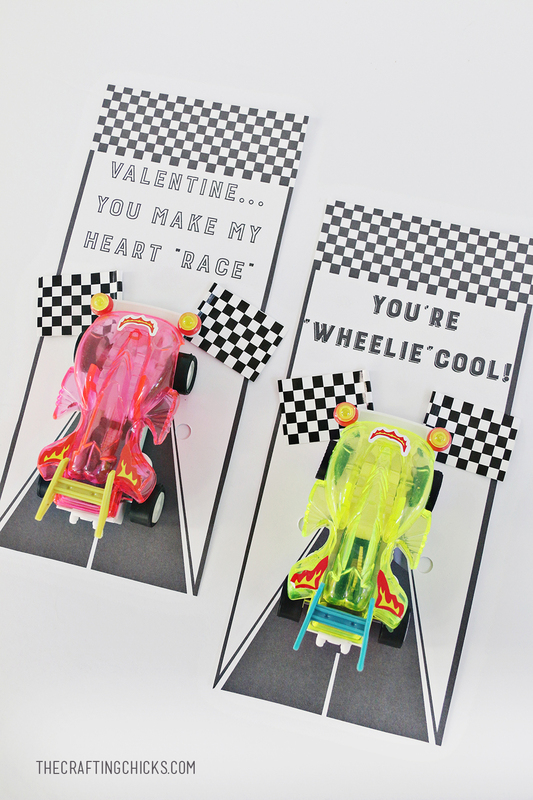 Kid’s will love giving or getting this fun non-candy race car valentine this year! Check out some other fun Valentine Printables! 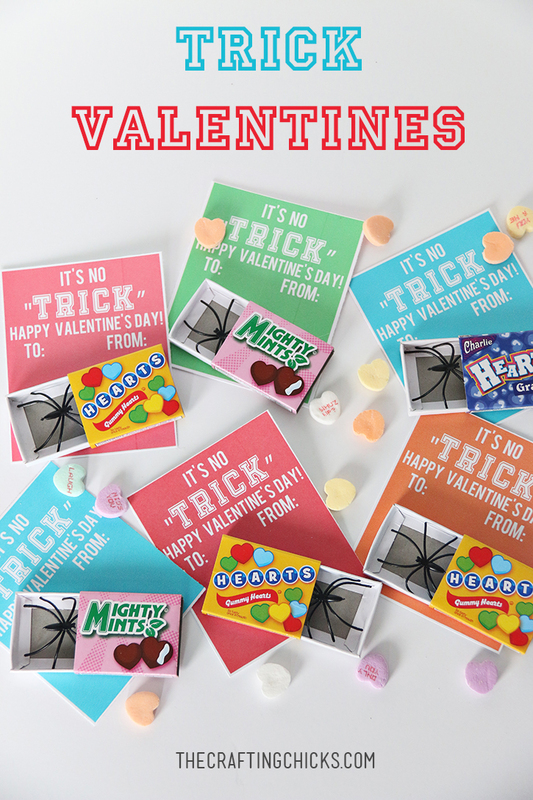 Kid’s will get a kick out of these “trick” valentines! These animal print slap bracelets make such a fun Valentine! 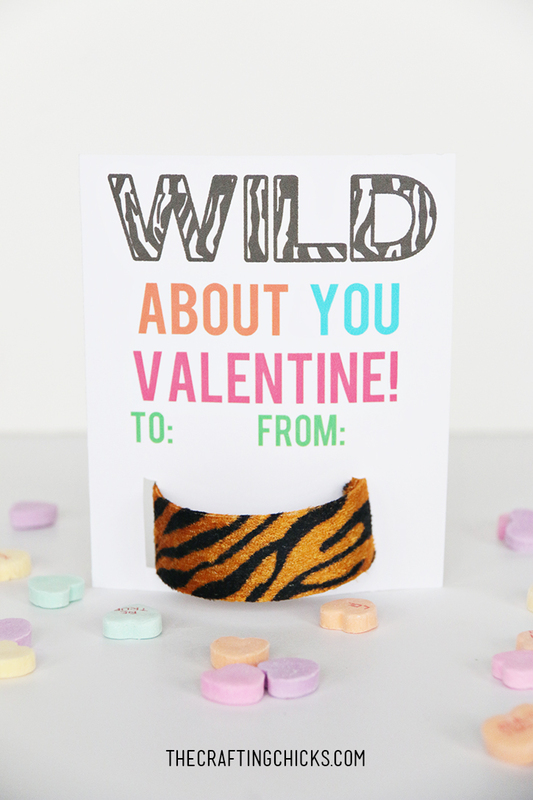 Just add this “wild about you” printable Valentine!